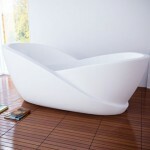 Having a warm dip in a large bathtub with warm and aromatic water is relaxing and rejuvenating. The SuperSwim is just another bathtub design available in the market today that comes with enough space for the users to move freely as they bathe, thus allowing them to Super Swim and Super Relax. On the other hand, the SuperSwim has exterior design that can be modified according to the user’s taste. 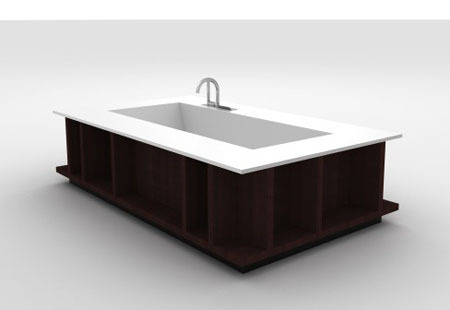 In addition, the tub also comes along with wood or matte lacquer lateral panels that serve as the tub’s basin and open faced unites’ cover. With numerous finishes available like veneered bleached oak, dark oak, graphite oak, thermally treated acacia, wood tobacco, ebony, walnut, black ecowood; matte lacquered in a full range of Boffi colors, the SuperSwim will definitely be a perfect tool to rejuvenates as it form part of any bathroom’s interior design. 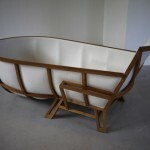 Other than the cover, shelves that comes in extrabright glass compliments the tub’s elegant look.